Hello dear readers ! 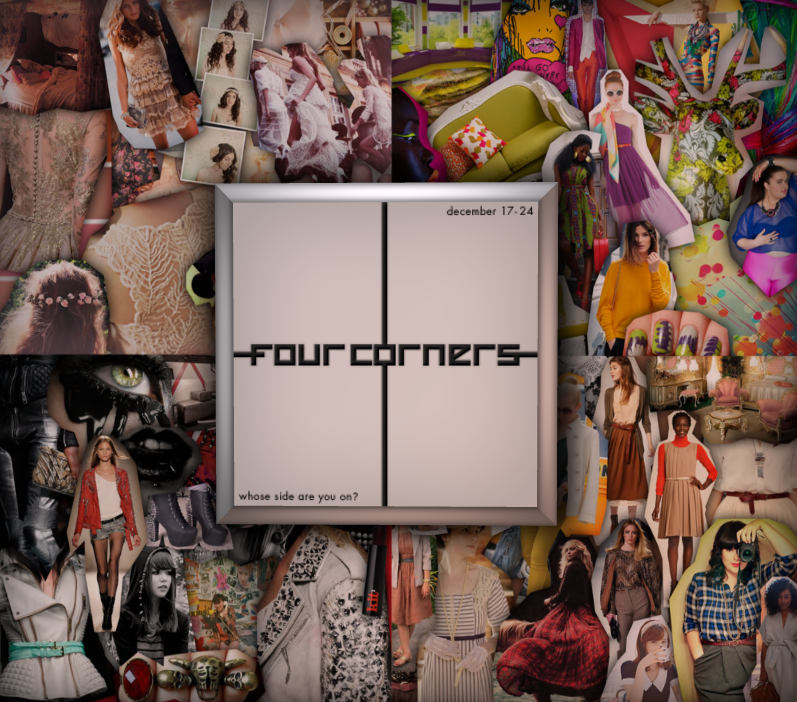 A new and exciting event is coming soon : Four Corners ! Public opening is on December 17th, Midnight (SLT) and it will end on December 31st ! A large variety of goods will be offered. Clothing, hair, shoes, skins, poses, accessories, and more! • This is not a sale event, items will be priced however the designers choose. The trends will be separated into the corners of the venue, marked by the mood boards. Shoppers will be able to vote for their favorite trend by clicking on the mood board, and a number will be displayed below with how many votes that trend has. There is only 1 vote allowed per resident. A little rivalry, but it’s all in good fun. And here is the four corners trends and participating designers lists for each of those corners ! Which trend is your favorite? I love the last one : “Delicate Damsel” ! What do you think about the designers’ list ? Impressive ah ? Can’t wait ! You may find more infos on the official blog of Four Corners soon too !